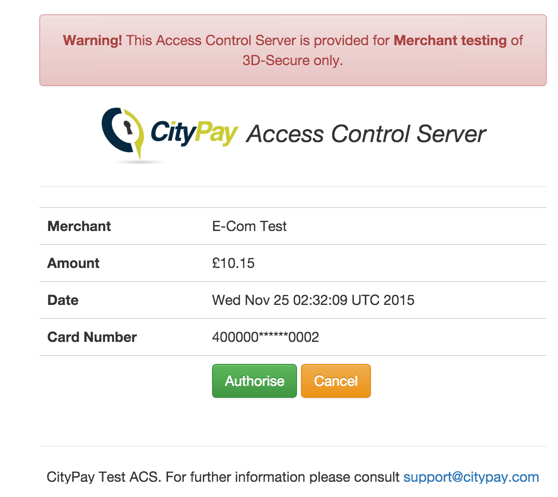 CItyPay offer a test facility for client testing and integration development. The test gateway allows you to process a transaction through our servers and route the subsequent transaction through a test host. Authorisation codes are static to allow the integrator to easily identify an actual authorisation code and a test code. The following authorisation codes are returned. The API will ordinarily respond with an authorisation response. We have enabled an amount mapping process to be able to return different responses, the following table lists out the behaviour. 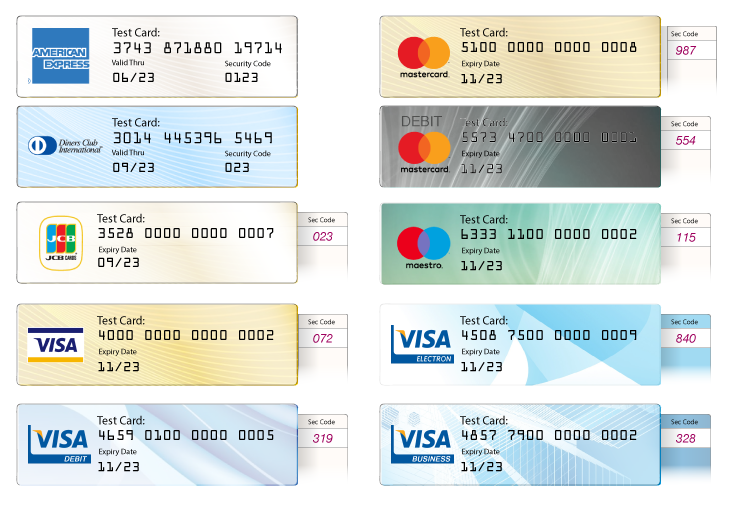 To perform testing, the following test card numbers can be used with any valid expiry date. AVS checks the numeric values of the address and postcode online via the card issuer and card schemes. Our test gateway will not validate these values however it will validate whether values are supplied when expected by configuration of your account. CityPay Limited is a PCI Level 1 service provider audited by TrustWave. © CityPay 1999-2019. All rights reserved. CityPay Limited. Registered in Jersey No. 89454. Registered office. Augres House, 16 Dumaresq Street, St Helier, Jersey JE2 3RL. CityPay Limited is registered with the Jersey Financial Services Commission. CityPay, the logo and any associated brand names are all trademarks of CityPay Limited.